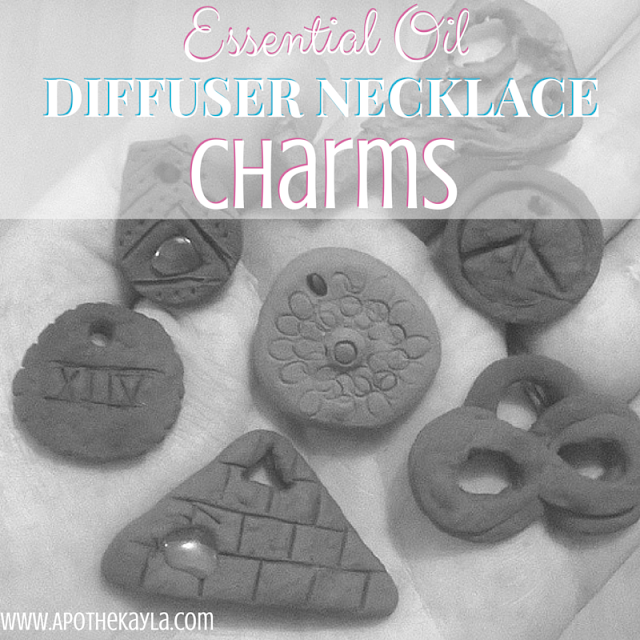 After reading about how to make a diffuser necklace and seeing one of my favorite bloggers write an article about them a while back I thought I would give it a try! 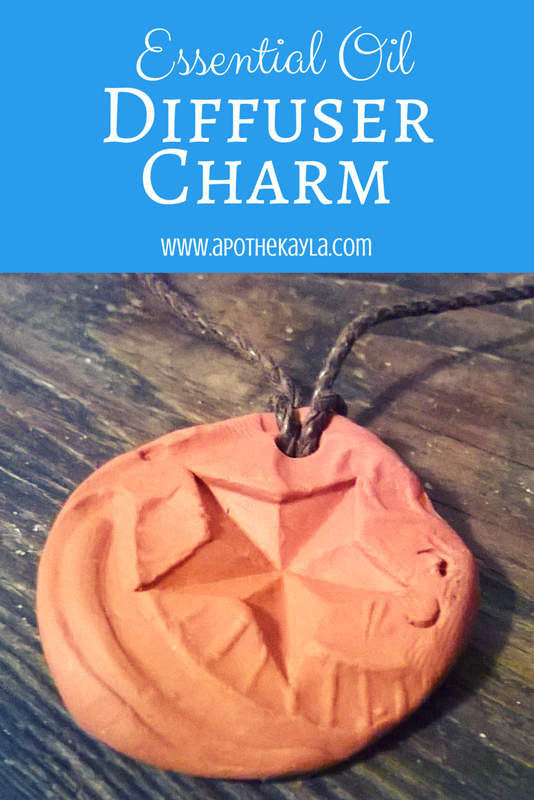 Diffuser charms are very interesting but simple to make. 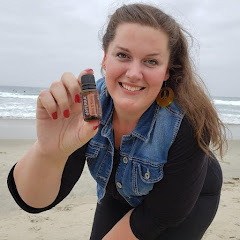 When you wear the Terracotta against your skin and your body heats up the clay, it diffuses the scent of the essential oil into the air. Terracotta sculpting clay is extremely inexpensive and easy to work with. The first thing you have to do when working with the terracotta clay is to warm it up by squeezing it in your hands like a stress ball. Then when the clay is easily mold-able you will lay it out on an old cookie sheet. Use cookie cutters or an X-acto knife to cut the shape you plan to work with.Then use a small straw or instrument to make the hole at the top, where you will later place the string. sharpened point or just use your fingers to create the perfect charm for you! You can press tiny shells or crystals into your charm as well! From my experience you may want to use bake a test charm. Make sure the thickness of the charms you are not testing are the same size as the test charm and you should be good! Once your charms are out of the oven give them a few minutes to cool, pop them off of the tray, and add your hemp cord or string to turn it into a necklace! Drop one drop of your favorite essential oil onto the grooves of the charm. Allow the oils to soak into the clay for a few minutes. Then all you have to do is wear it and bask in your cleverness and aromatherapy all day! I'm sure you have heard the old saying: "A place for everything and everything in its place"! Do you know why this phrase is so important? Let me tell you! 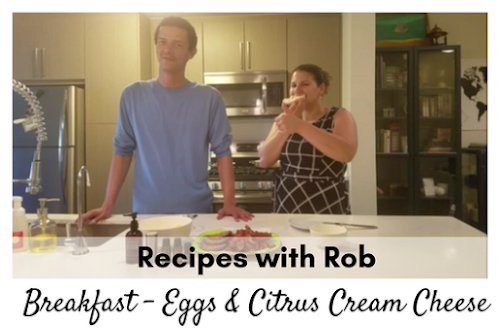 When you begin the switch to all holistic products, and you plan to create your own having all of your tools, ingredients, and containers in one place makes a huge difference. At our last house my wonderful husband built me a custom desk with little nooks and crannies for ingredients and tools. 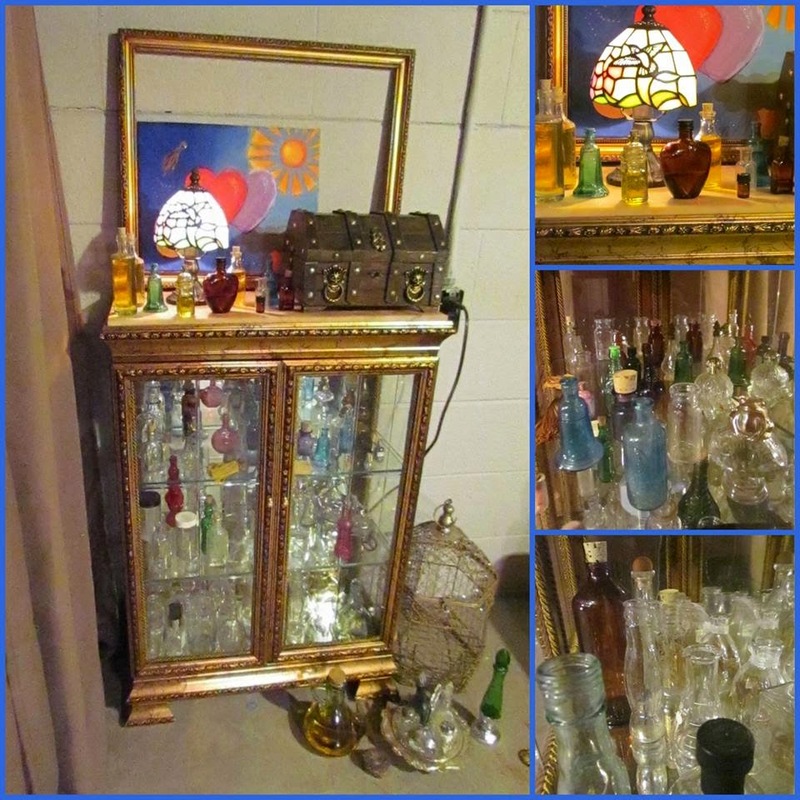 I also had an Italian built cabinet that displayed my collection of tiny vintage bottles. Since we are moving into our camper over the next two weeks I have had to really consider the space I will have to store my apothecary goods. I have narrowed my bottles/ containers down to a small box. All of my ingredients are in one huge Rubbermaid tote and will have to be organized to fit in the few spare cabinets we will have left. 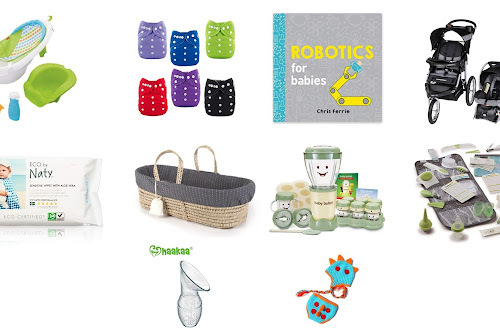 While I may not have a lot of space I feel it is very important to keep all of these items organized because when I need to find the ingredients for my all natural stomach soother in the middle of the night I don't want to have to dig through every cabinet. There are also times when I have friends or family around and I am so excited to share holistic remedies with them that I find out what ailment I can provide a remedy for and head straight to my apothecary station. 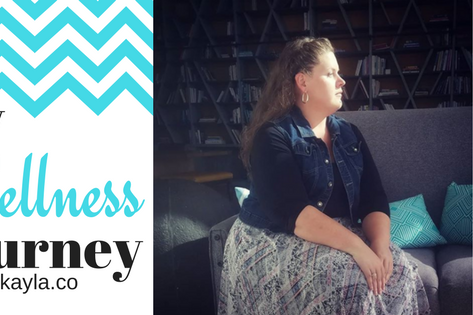 In my book, the first thing I recommend is to set up your space. 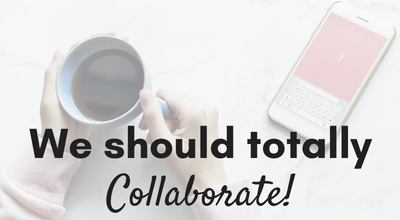 I also give a complete list of the tools I like to keep on hand and suggestions for setting up your own space. I wanted to talk specifically about organization though. When you begin thinking of a place you plan to keep your apothecary station think of a temperate location that is out of direct sunlight. 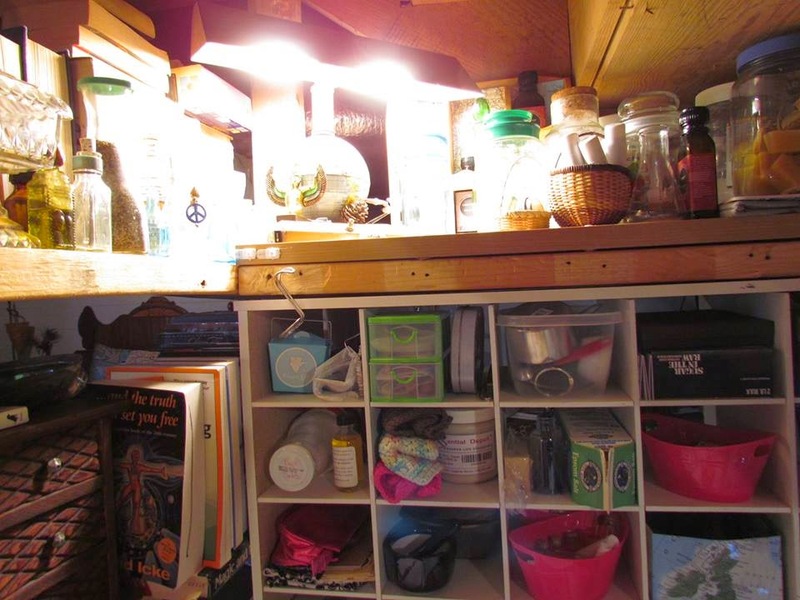 Exposure to sunlight will decrease the shelf life of natural ingredients and essential oils. If you have small children or pets you will want to keep your items out of reach, or inside of cabinets if you have cats like we do! My vintage bottle collection, at our last house. Start collecting small containers to corral small items. Install small hooks for things like measuring spoons and pot holders. I asked my awesome husband to install bookshelf's on my desk for reference books, this really came in handy. I also have office supplies on hand for labeling purposes; like labels, stickers, and permanent markers. A spare notepad comes in handy when you are experimenting with a new recipe and want to write it down in-case it is a winner! When you have a home for every item you will be more likely to return that item to its home so that you and your family (if they are allowed to use your space without supervision) will know where to find the goods! I can't wait to share my new apothecary space with you all. It will be tiny, but it will also be efficient. I will make sure of that. 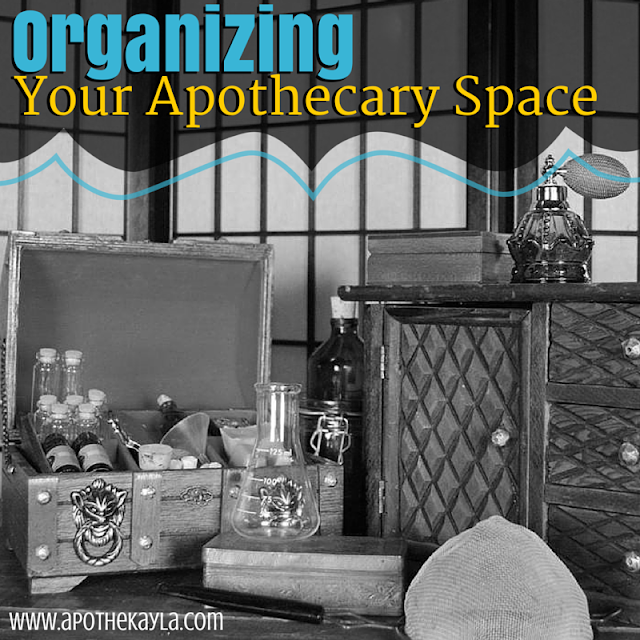 Do you have a personal apothecary space? 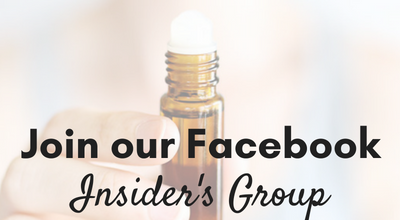 Share it with me on my facebook page I would love to see it!